Lower Operating Costs. Better Consistency & Quality. Autoquip is a full service robot integrator with a vast network of world-class robotic suppliers. We offer robotic and paint automation products that can be used in a variety of coating applications. You will work closely with our engineering team to identify the best system for your custom requirements and will collaboratively design your functional and cost-effective solution. Robotic automation allows finishing processes to be operated by fewer individuals with better consistency and repeatability. 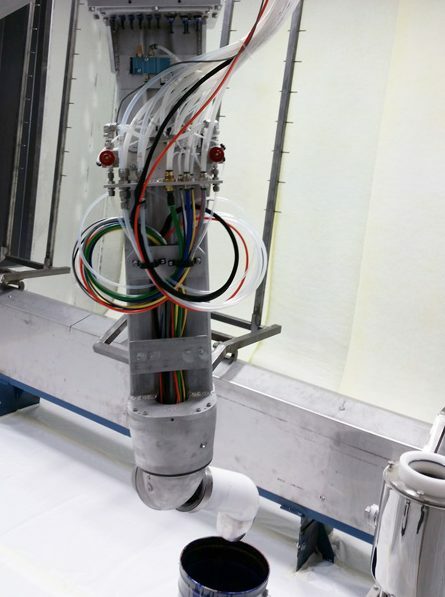 Robots can be integrated into specific stages of a finishing process or used to completely automate your entire operation. 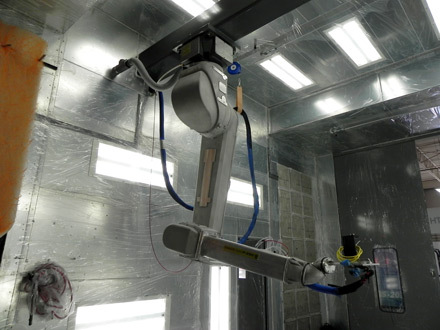 Robots can be used for primer, base coat, finish coat, clear coat and spray painting dispensing, using water-based, solvent-based, powder, glaze and glue/adhesive materials. They efficiently coat complex parts of nearly any size and shape, including recesses, curved and contoured surfaces while increasing finishing quality, consistency and throughput while dramatically lowering operating costs and decreasing wasted material. 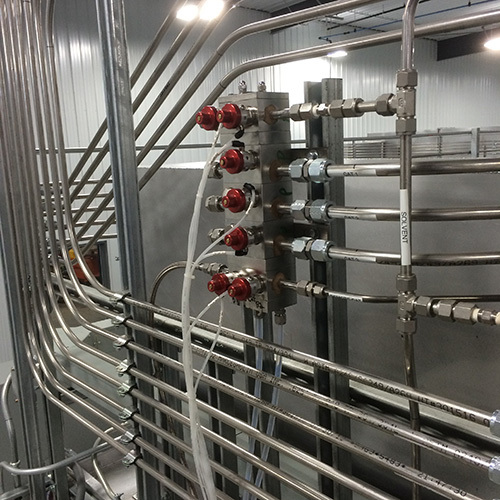 Every finishing process is unique, and every finishing process requires the proper integrated paint automation equipment to operate effectively. Autoquip’s innovative solutions are custom designed for end user’ unique requirements.